When Edwin was in high school, he fell in love with a girl; that girl asked if he wanted to go to beauty school with her. Being a hot-blooded teenager at the time and only seeing an opportunity to spend time with her, he agreed. To his surprise, it took a month for him to realize that this was the career for him. After graduating high school then beauty school, Edwin, then age 17, had the opportunity of a lifetime come up and he jumped right in. Edwin trained to be a professional hairstylist and platform artist for Sebastian Professional, a young up-and-coming hair-related company that ended up taking the hairstyling industry by storm. In 1977, under Geri Cusenza's (founder of Sebastian Professional) watchful eye over the course of two years, Edwin went through an intense training program, receiving hands on one-on-one personal training from Geri and the core Sebastian team at Cassandra 2000, their flagship salon. This was an amazing start to Edwin's 35+ years of hairstyling experience, 20 of which were with Sebastian Professional. After finishing his apprenticeship, he started working on the original Sebastian team as a platform artist and traveling all over the world educating and performing the largest hair shows in the world. Edwin was privileged to be the first in the beauty industry to pioneer video education with his mentor, Geri Cusenza, and other team members. In addition to his innovative teaching videos, Edwin was involved in styling some of Sebastian’s global ad campaigns and even worked closely with Geri and Sebastian’s chemist in developing the Sebastian hair care line. 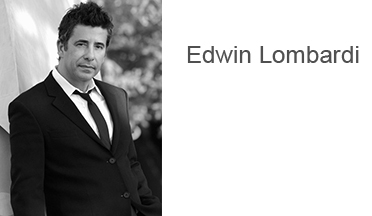 Seeing potential in Edwin, he was promoted to artistic director and worked under the direction of Geri Cusenza and Robert Loretta, creative director, in creating all of the hair collections for each season. Fast forward to now - Edwin is a full time hairstylist, both working behind the chair as well as in front of the camera. BeautyMastermind, an online video platform website and store, was designed to share his knowledge and experience in hope that hairdressers around the world gain the confidence they need to be successful in the beauty industry. I’m a fulltime hairdresser with 35 years experience. Personally I can say, “by me using the best scissors, combs, brushes, clips, and styling products in the industry does make a great difference with my finished hairstyle.” My goal for BeautyMastermind is to provide you an online store with a complete selection of the best hairstyling tools in one store for your professional career. I was fortunate to get the best training as an assistant. This gave me real confidence at the beginning of my career. This helped me to build a good clientele fast. I’ve trained 35 personal assistants throughout my career and watched them get that same confidence I had when I was first trained. My new goal is to teach and pass on the very same knowledge I received on a grander scale using online education to help hairdressers all over the world.